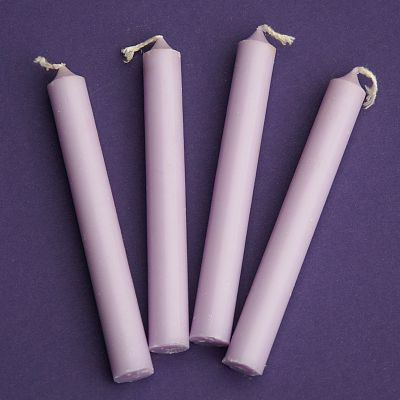 - Set of 4 very pale lavender candles. Often used for matters of Dignity, Spiritual Shield, Psychic Growth, Divination, Blessings. Approximately 1/2" in diameter by 4" long. These small "chime" candles are the perfect size for your pagan altar. Unscented. Do you have any other questions about our Lavender Candles - set of 4 mini candles?